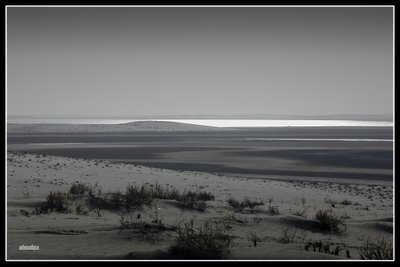 A view of the Inland Sea from the top of of one of the sand dunes. This photo was shot at noon time. Of course it's not dune bashing the whole day. We also had our first taste of Arabic barbecue which is very very good. 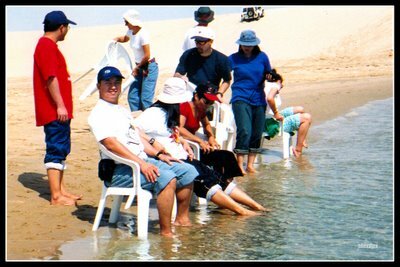 Swimming in the Inland Sea was supposed to be part of the activity but nobody was up to it. Everyone just ended up sitting on monoblocs with feet immersed in the cold water. Nobody planned on swimming althought it was supposed to be part of the activities. I myself wouldn't swim in unfamiliar water. Then we had some sand surfing - in a way it was physically challenging and I actually just had one go at it. Surfing was fun but climbing back up to the top of the slope was difficult. 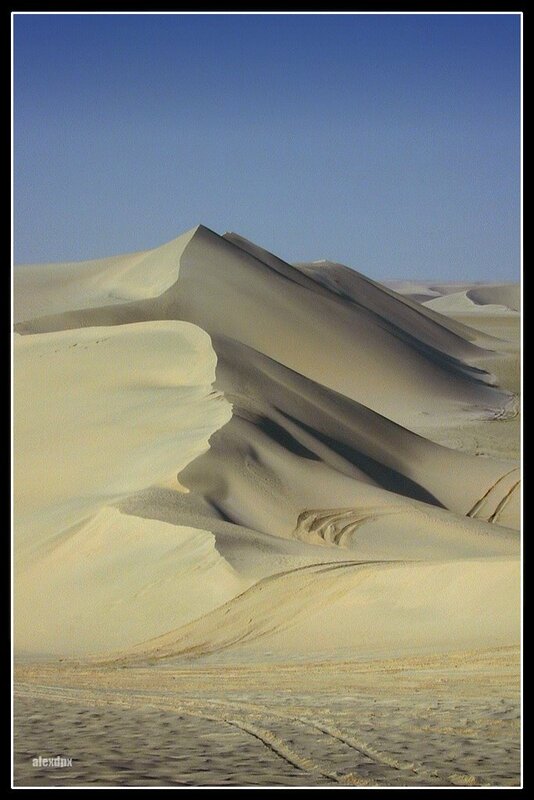 Climbing on desert sand is more difficult than anyone would think. I can't describe it - you just have to try it to understand what I mean. The desert is lovelier at sunset. The sun casts reflections and shadows . . .
1. Plan your trip during Spring or Autumn. Winter would be too cold and wind blows too much. You'll either freeze or get caught in a sand storm. In summer, you'll roast easily because it's just too hot. Drivers have to turn off the car's airconditioning to give all of its horsepower to all 4 wheels. 2. It's best to use sandals during the trip so you can easily shake off the sand that it will collect. Shoes will be more difficult to clean. 3. 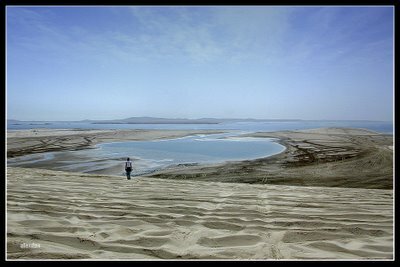 It is unlikely that there will be any toilet facilities in the desert so you have to be prepared for that. 4. Don't forget your sunglasses and use sun block lotions. The temperature may be cold but the afternoon sun is quite intense. 5. Always have your cameras (still and video) in their bags when not in use. Sand is very fine in the desert and it can easily get in to the small gaps in your cameras.
. . . And the sand dunes reveal their lovely shapes. Alright, that's all about it. Enjoy! Fantastic dune images pre, and your quite a story teller at that. I found myself imagining the things you were describing. Pinas ka ba naka-base? Sa Qatar ako naka-base. Thanks for dropping by Jojo!